Perhaps the best thing that ever happened to the Wrangler National Finals Rodeo was event officials deciding it would be agood idea to make the nightly go-rounds available on a live TV feed to hotel properties all over Las Vegas. Perhaps the best thing that ever happened to the Wrangler National Finals Rodeo was event officials deciding it would be a good idea to make the nightly go-rounds available on a live TV feed to hotel properties all over Las Vegas. After all, for the last 32 of the Wrangler NFR’s 34 years at the Thomas & Mack Center, selling out the arena hasn’t been a problem. But there are thousands upon thousands of fans who travel to Las Vegas every year, who don’t have tickets each night and want to see the rodeo. The live feed has become a spectacle unto itself, creating viewing parties all over town, some quite large. And the viewing parties then turn into after-parties, where the cowboys and cowgirls really kick up their heels. This intrepid reporter took it upon himself to hit five venues for viewing parties and after-parties on Friday night. From north to south, from downtown to the South Point, here’s how that raucous evening unfolded. 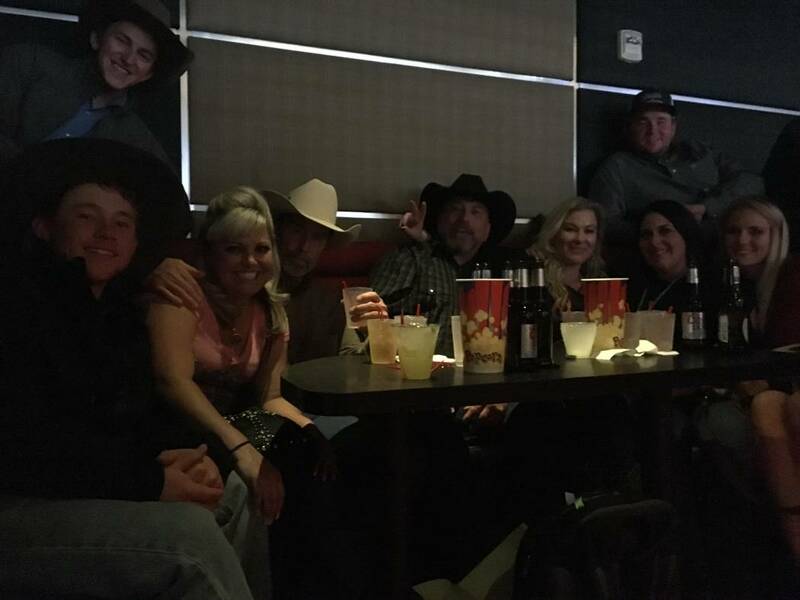 Tater and Courtney Wilbanks settle in at a table with a few friends, about an hour before the Wrangler NFR’s second go-round begins. They are regular attendees, traveling from Beebe, Ark., and their group has a great view of the big screens, thanks to that early arrival. 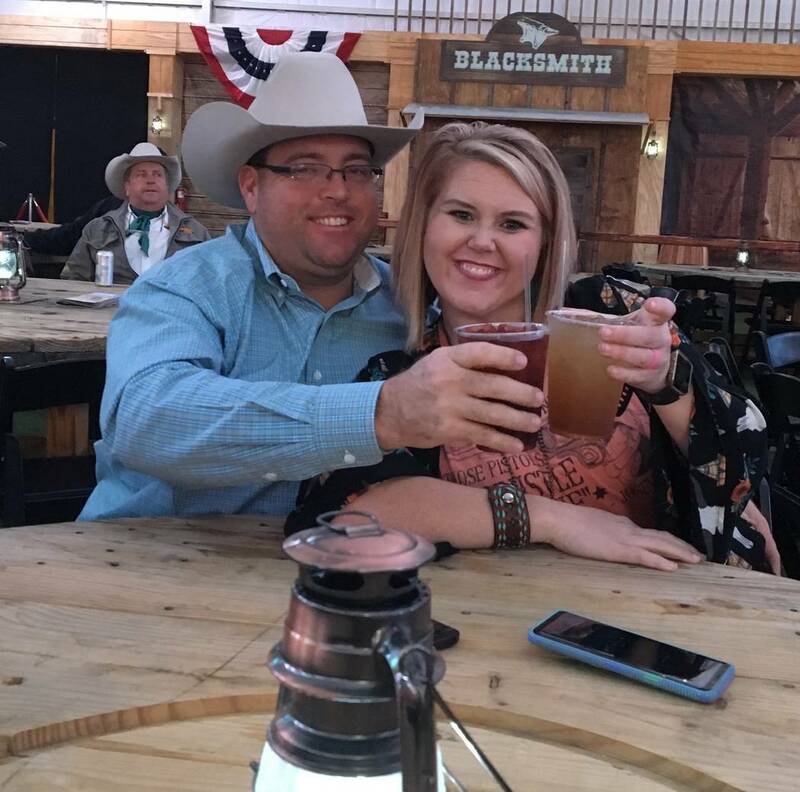 It’s the ninth Wrangler NFR for Tater and Courtney, and this downtown viewing party has emerged as their favorite. Courtney points out perhaps the biggest advantage of this viewing party: the actual viewing. Courtney then departs for a minute to get the first drinks, and tries to surprise Tater by not telling him what kind of adult beverage she’s brought back to the table. But he quickly figures it out, with arguably the quote of the whole night. The viewing party is well underway at this point, but Gilley’s provides more than just a place to watch the world’s best cowboys and cowgirls compete. Party attendees can try to show their rodeo mettle on the venue’s mechanical bull. 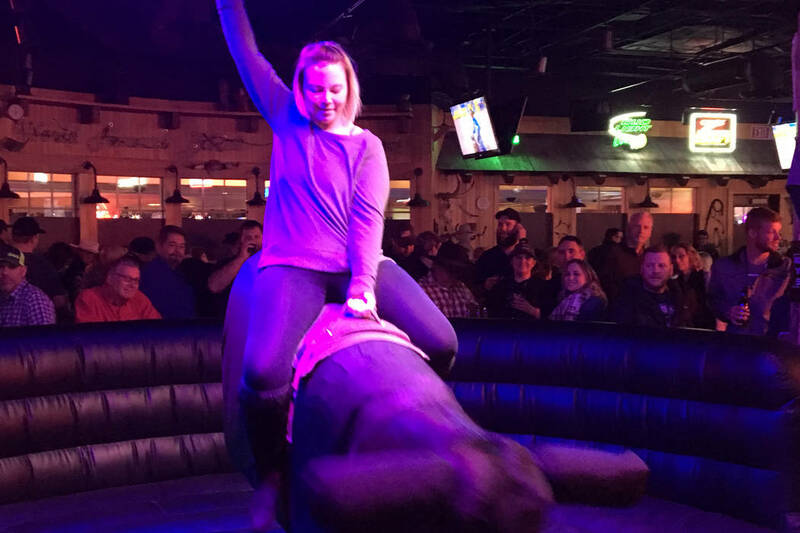 And Heather Kisor of Kasota, Minn., is all in after watching husband Aaron Kisor take the bull for a spin. It’s the first year Kisor is in Vegas for the Wrangler NFR, and honestly, it’s merely a coincidence, as she joins her husband here for a well driller’s convention. But she’s quickly hooked by the rodeo atmosphere. The Mirage offers one of the most unique viewing parties/after-parties, as the Wrangler NFR takes over the sports book for 10 nights. The seats and dance floor are packed with rodeo fans all night long, first watching the rodeo, then enjoying a live concert. 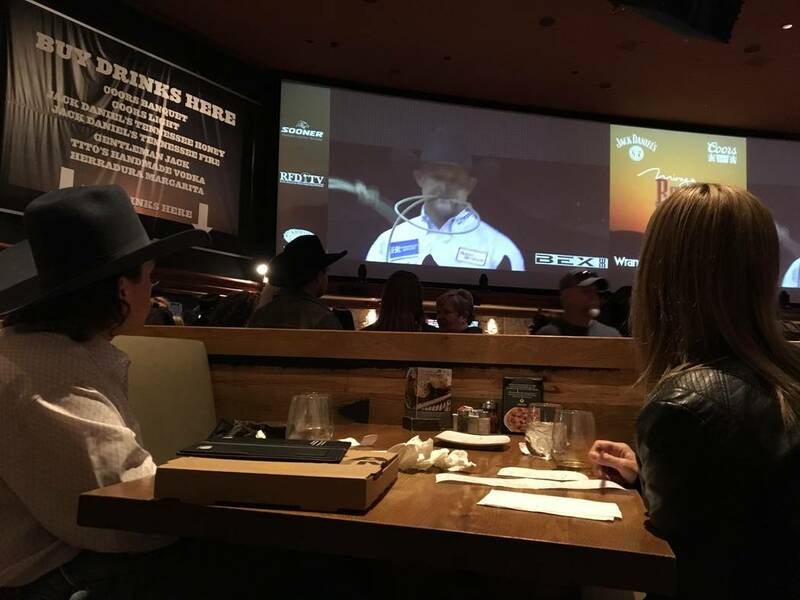 But over the past couple of years, Brandon Noel and Donna Collins of Oakdale, Calif., figured out a way to make it almost like dinner and a movie — albeit a movie of the world’s top cowboys and cowgirls, shown competing on the sports book’s massive big screens. You see, adjacent to the book is California Pizza Kitchen, and there are a few tables that offer a perfect view. “This was my idea,” Collins says, as she and Noel munch on pizza and take in the rodeo. When you see a guy with two fistfuls of Bud Lights, well, you’ve got to talk to him. 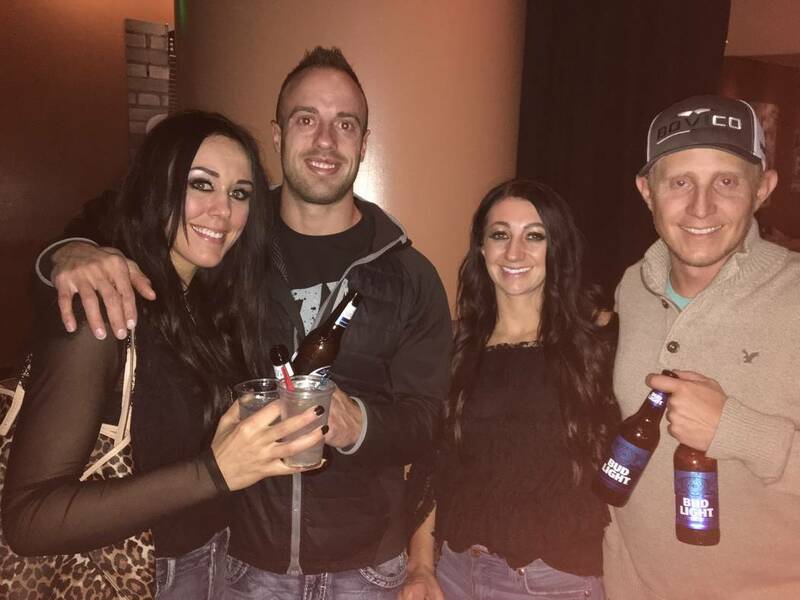 That’s the case with Robbie Sutton, joined by wife Julie Sutton and friends Brittney Loosli and Justin Jensen at the Honky Tonk Saloon, which hosts a nightly viewing party. You’ll never guess what he likes best about this spot. 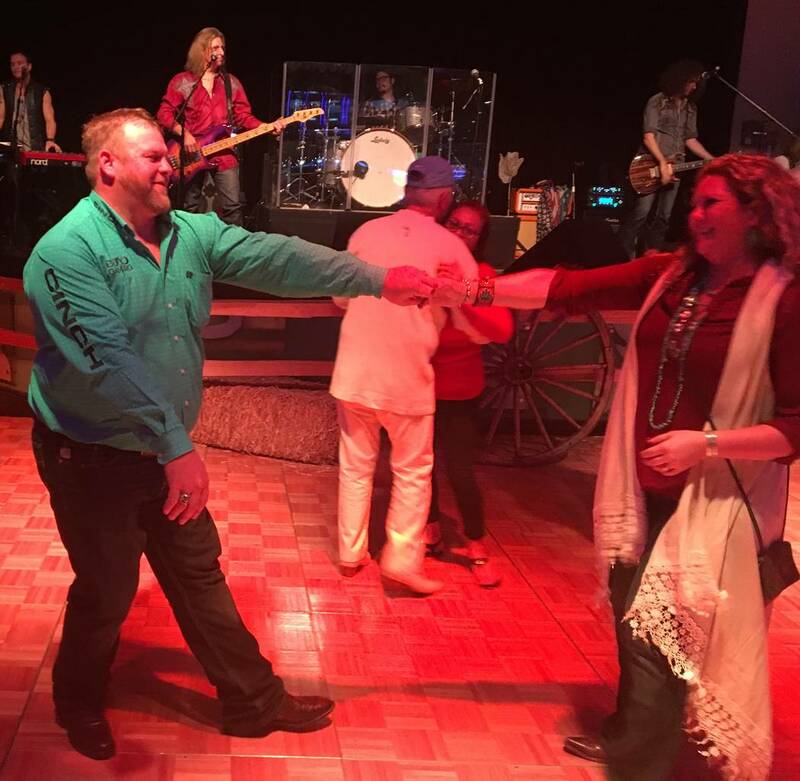 Perhaps the best part: it becomes a roaming party, as once the nightly go-round viewing ends inside the Honky Tonk Saloon, many patrons make their way to the very crowded and lively “Buckin’ Bash with Justin Rumford” just a couple hundred feet away at the Bourbon Street Lounge. Rumford, a seven-time entertainer of the year as a rodeo clown and barrelman, opted to take time off during the Wrangler NFR to become the new host of this after-party. And it’s proved to be a smart move, as the room was packed Thursday night and is filling up rapidly as 10 o’clock Friday night approaches. Or as laid back as it can be with Rebel Soul rocking the joint to the point where even Rumford — not much for dancing — is out on the floor with one of the party patrons, cutting a rug. After each night at the Thomas & Mack Center, many in the rodeo crowd crush into the South Point Showroom for the buckle presentations to winners of each event in that night’s go-round, followed by a late-night country music concert. Seats become quite a hot commodity, so you tend to make new friends in a hurry if you’ve got any vacancies at your table. Or even if you don’t have any vacancies. That’s how it works out for John Greco of Park City, Utah, seated in what’s become his regular spot, along with friends Scot Corbin and Melissa Williams — and six perfect strangers, all jammed into a booth that’s really built for perhaps five at most. Indeed, when you’re at the Wrangler NFR, you’re always among friends — even those whom you just met.